Today’s Congressional hearing on Planned Parenthood began at 10 AM ET, and lasted for over five hours. (The recording is available here.) Near the beginning of the hearing, Committee Chairman Jason Chaffetz showed a graph to Cecile Richards, President of Planned Parenthood. Titled “Planned Parenthood Federation of America: Abortions Up – Life-Saving Procedures Down,” the graph showed that in 2006, Planned Parenthood had performed 2,007,371 cancer screening and prevention services, but that in 2013, that number had dropped significantly to 935,573. Additionally, the graph showed that in 2006, 289,750 abortions were performed by Planned Parenthood, in contrast to an increased 327,000 performed in 2013. Richards refused to recognize the truth of the graph – which used Planned Parenthood’s own numbers. Yet the only way Richards’ denial can be true is if Planned Parenthood’s own annual reports are false. Let’s take a look. See the total? 2,007,371 “Cancer Screening and Prevention” services for 2006, just as the graph stated. And again, 289,759 abortions, just as the graph stated. Let’s take a look at Planned Parenthood’s 2013-2014 Annual Report. Yet again, the graph is proved correct: 935,573 “Cancer Screening and Prevention” services, according to Planned Parenthood’s own numbers. Ooohhh….here we see a slight error with the graph. The graph reports 327,000 abortions – 653 less than Planned Parenthood actually provided. Obviously, this mistake is in Planned Parenthood’s favor. When we consider the graph’s numbers and Planned Parenthood’s own annual reports, we see that the information is not actually from Americans United for Life, but from Planned Parenthood itself. Richards’ own statement at the Congressional hearing demonstrates exactly why Planned Parenthood is under investigation. If, as she stated, the numbers from Planned Parenthood’s own reports “absolutely does not reflect what happens at Planned Parenthood,” then where can the taxpayers find the truth about what Planned Parenthood really does? 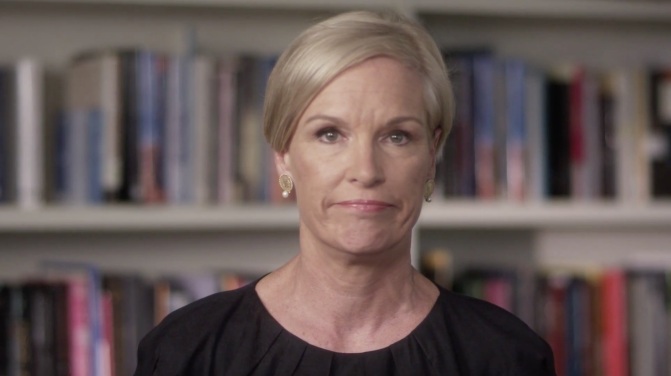 One question remains: do the reports lie, or does Cecile Richards?